The martial arts started for me in the early 1970s while at school. Judo and Boxing were first and a good base to build on. The day after leaving school I joined the Royal Marine Commandos. Over the next decade unarmed combat featured strongly. While in 42 Commando I was in an unarmed combat display team which went around the country and did the royal tournament in 1979 displaying unarmed combat, martial arts and abseiling. I continued my study of martial arts with Ju-Jitsu, Aikido, Karate, Tae Kwon Do, Kung Fu and Tukido. All studied under good teachers and good friends. When I left the military in the late 1980s I carried on studying Lau Gar Kung Fu and Kickboxing, reaching Dan and Degree levels in both.  It was during this time that I met the most influential teacher and friend in my life, Grandmaster Brian Jones. It’s strange but from our first meeting I knew this was the teacher and arts that I was put on this earth to follow. Brian, I can humbly say, has had the best teachers in the world and certainly does his teachers proud by adhering to their top quality teaching. Kun Tao Tai Chi was studied first, then came Wing Chun, Escrima, Wild Goose and Black Tiger. After well over 20 years of training under Brian, his teaching is as inspirational, interesting, fun and fresh as my first lesson with my master.